Sales over the last week have been steady, and the number of unsold tickets to Sunday's AFC Wild Card playoff game between Cincinnati and San Diego has dipped below 10,000. "After winning the AFC North Division two weekends ago, the Club redoubled its efforts to move all remaining unsold seats to our home playoff game — approximately 15,000 tickets. Sales over the last week have been steady, and the number of unsold tickets has dipped below 10,000. We are appreciative of that response. "NFL playoff games are rare and wonderful chances for communities to showcase their communities in front of a national TV audience of roughly 30 million viewers. The Club appreciates the support we are seeing and remains excited about next Sunday’s game. However, we need to be candid that — unless the rate of daily sales increases — we will not achieve a sellout, and the game will not be televised in Cincinnati, Dayton or Lexington, Ky., per NFL policy. "The Club is excited about the game and the opportunity to highlight our hometown, and we look forward to the great home field advantage that our fans give us. Undefeated at home this season has been great, and a sellout crowd Sunday would be a real boost to the football team and help us take the next step in the postseason." The sellout deadline for allowing local television coverage is 1 p.m. this Thursday, Jan. 2. 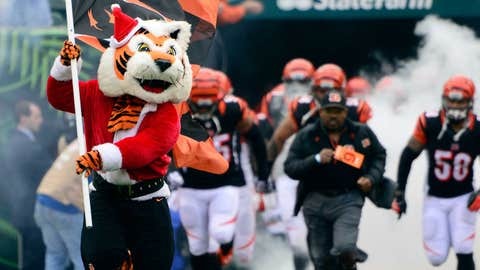 Tickets for Sunday’s game may be purchased on-line through Ticketmaster, and fans can quickly reach the correct Ticketmaster web page through a prominent link on the home page of Bengals.com. Fans also may contact Ticketmaster by phone at 800-745-3000. 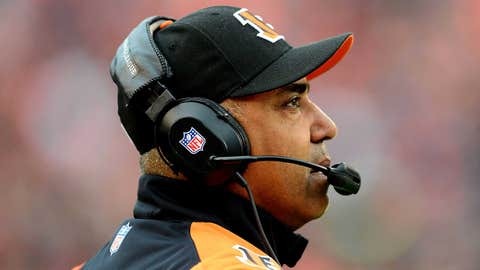 Tickets also may be purchased through the Bengals Ticket Hotline at 513-621-3550, or toll-free at 866-621-8383 (TDTD), or in person at the Paul Brown Stadium ticket office. The Hotline and the ticket office will be open until 7 o’clock tonight, and from 9am until 7pm January 1.